(Denver -- June 10, 2015) -- Rocky Mountain PBS has been named a partner in a national campaign aimed at helping children nationwide read at grade level by the third grade. The effort, called the More Hopeful Futures Initiative, is being spearheaded by the Campaign for Grade-Level Reading, a collaboration of funders, nonprofit partners, business leaders, government agencies, states and communities across the country dedicated to helping children from low-income families succeed in school. 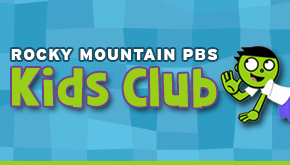 As the leading public media partner in the initiative, Rocky Mountain PBS will use broadcast and online resources to bring valuable information to parents and caregivers about early learning and the importance of positive adult-child interaction. The station will select other PBS partners from around the country to bring these resources to households with young children, especially those who do not attend formal childcare or preschool. The Campaign for Grade Level Reading announced the new More Hopeful Futures Initiative in Denver this week at the Clinton Global Initiative America meeting. The initiative will be planned over the next 18 months and launch in 2017 as the next phase of a decade-long effort to increase reading proficiency among children from low-income families. Efforts will reach 50,000 children in thirty targeted communities nationwide - two in Colorado - and include screenings and resources targeting school readiness, school attendance and summer learning. The Campaign for Grade Level Reading currently operates in 167 communities in 42 states, the District of Columbia, Puerto Rico and the U.S. Virgin Islands. More than 2,100 civic and community-based organizations, public libraries, public housing agencies and higher-education institutions have joined the local sponsoring coalitions. Colorado’s local efforts are supported by more than 200 family and community foundations, individual donors, corporate giving programs and United Way branches. The partnership announcement comes just weeks after Rocky Mountain PBS was honored as a leader in early childhood education at the 2015 PBS Annual Meeting in Austin, TX. Price, along with PBS CEOs from Detroit and Cleveland, were featured in a video showcasing their education efforts and encouraging other stations to get involved. Additionally, a recent study of the impact of the PBSKids’ flagship broadcast Sesame Street, released earlier this week, demonstrated that consistent viewing of the program had a positive impact on preschool aged children, comparable to preschool attendance. Rocky Mountain PBS has a long history of supporting Colorado kids with a variety of television programs and learning opportunities, including StoryMakers, an annual writing contest for middle school students, and Super School News, a program aimed at exposing 5th and 6th graders to the world of news broadcasting. High-schoolers statewide are invited each year to participate in a televised single elimination, Jeopardy-like trivia tournament called Matchwits. Pueblo’s Homework Hotline is a call-in program which airs live each weekday afternoon during the school year to help students with their homework. Our summer Kids FunFest celebrations, which attract more than 10,000 kids and their families statewide, are dedicated to the concept of making education hands-on and fun. The complex issue of education has always been at the forefront of our news and public affairs broadcasts and, in fact, the station’s first community partner, more than a half-century ago, was Denver Public Schools. Our commitment to education is a tradition we are proud to carry into the 21st century alongside the Campaign for Grade-Level Reading and the More Hopeful Futures Initiative. Rocky Mountain PBS celebrates its 59th anniversary on the air this year. The network began in Denver in 1956 as Colorado’s first public television station. It is now Colorado’s only statewide television network, with stations in Denver (KRMA), Pueblo/Colorado Springs (KTSC), Steamboat Springs (KRMZ), Grand Junction (KRMJ) and Durango (KRMU). To learn more, visit rmpbs.org.